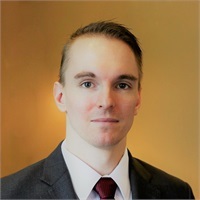 Jeremy Laughton joined OptiFour in 2016 as an Associate Attorney after graduating with honors from the George Washington University Law School. During law school he worked on the Federal Circuit Bar Journal, was a member of the Alternative Dispute Resolution Board and volunteered at the D.C. Bankruptcy Assistance Center. He also worked as an intern at the U.S. Securities and Exchange Commission. Prior to attending law school he graduated from Reed College, in Portland Oregon, with a bachelor’s degree in economics. He is currently a member of the Virginia and Maryland State Bar.